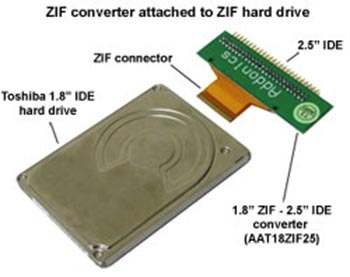 converter connector only for Toshiba 1.8 inch hdd with ZIF connector - Need to read/write or retrieve data from the small 1.8 inch Toshiba hard drive that is inside you Apple iPOD and small Notebook computers? 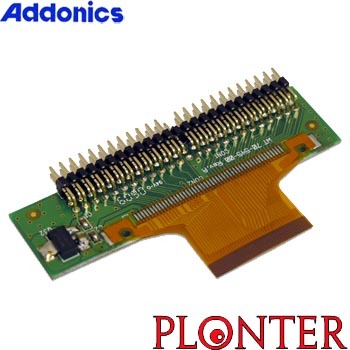 The new Toshiba 1.8 inch ZIF to 2.5 inch IDE connector from Addonics is the perfect tool. It will enable you to attach the small 1.8 inch hard drive, just like a 2.5 inch IDE hard drive, to any computer.